It is simple and better to use computer in class. The presence of laptops in our school has made the students more literate and now they are using them in class work. Below is Walter using the computers to teach form two chemistry. 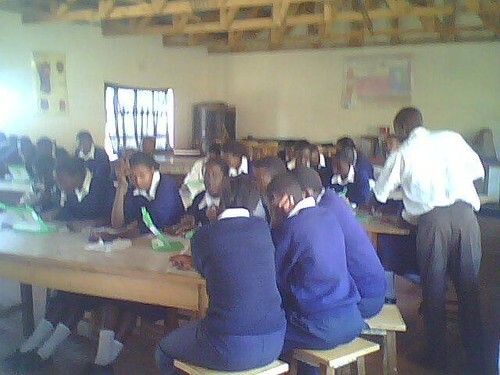 We are also using the computer with form four who are waiting for their final exam.